University of Virginia Library Online Exhibits | Photograph of Eighth Evacuation Hospital on the move. 1944-45. Photograph of Eighth Evacuation Hospital on the move. 1944-45. 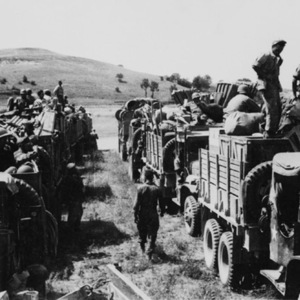 “Photograph of Eighth Evacuation Hospital on the move. 1944-45. ,” University of Virginia Library Online Exhibits, accessed April 23, 2019, https://explore.lib.virginia.edu/items/show/2274.